I Chose to mix mine with some micro-greens that I had left over, but you could mix them with any other lettuces as well. 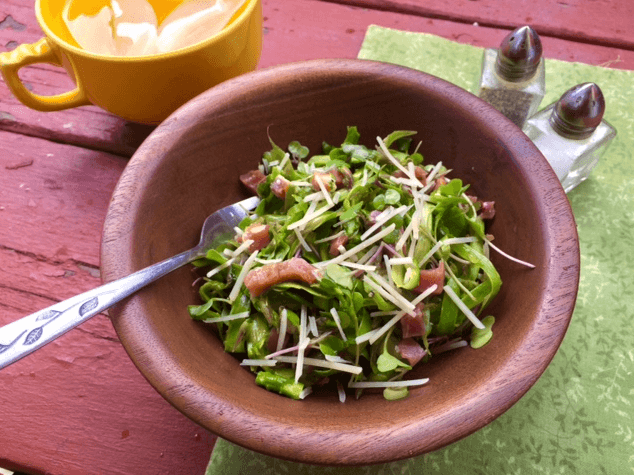 My greens contains micro-kale and micro-arugula; I really love the intense flavor of micro-greens, plus they look gorgeous! Luckily, I was able to enjoy a few of these salads before the snow hit… AGAIN! Using a potato peeler, shave the asparagus into thin ribbons. Top with extra Parmesan and fresh cracked pepper to serve.